everyone else is too crap! Pretty good rhyme, don’t you think?! We bet Baba Sehgal would be proud! Speaking of, we are dedicating this particularly amazing rhyme and article to the one rapper we admire the most: yes, it’s none other than Baba Sehgal! And if you are one of Baba Sehgal’s fifty thousand followers on Twitter, you’d know exactly what we are talking about! The Indian rapper is nothing short of a genius when it comes to rhyming and he can most definitely put all the other rappers out there to shame with his expert skills! Agree, right? Thought as much! Since we needed another excuse to praise Baba Sehgal, here’s a list that will prove that Baba Sehgal’s rhyme is more than just fine! 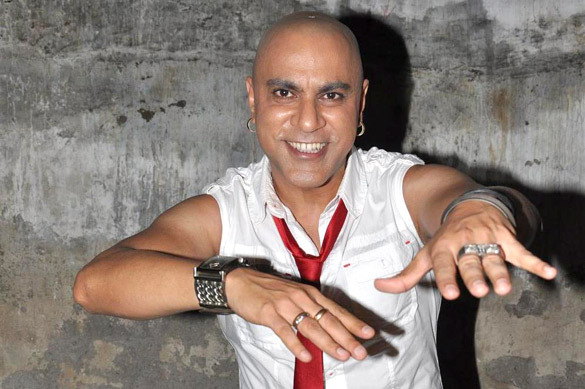 ‘9 AM to PM 9, you are my valentine, red red like a rose, you are my poetry & my prose.’ Baba Sehgal’s latest song ‘Meri Girlfriend Ban Ja’ contains fabulous examples of his rapping skills! And our personal favourite: ‘You are my apsara straight from the heaven, I love you more than my iPhone 7!’ BRILLIANT! The song starts with the line: ‘Rihanna O Rihanna, police station is a thana’. We mean, why are aspiring rappers not worshipping this man already?! Everyone will give you advice about girls, but will they do it with a rhyme? No! Only Baba Sehgal is capable of that! Guys, not only will this song entertain you, it will also teach you some very important life lessons! Like, ‘Mat kar mat kar hurry hurry mat kar mat kar worry worry, God ney bheja hai sabko world mein temporary!’ Superb, isn’t it?! ‘Mausam rainy rainy hai potatoes bhi yeh brown hain, meri jaan yeh whisky aur tequila dono noun hain.’ Has your mind blown yet?! Never forget this golden advice, guys, okay? Okay! We’ve heard of movie-inspired pick-up lines, but never rhyming ones to impress women! You should definitely try this Baba Sehgal approved one! Congratulations! The Baba summed up our feelings in the most rhyme EVER! Relationships are too complicated, cartoon movies are animated. No? Okay. Another rhyme that sums up this tweet: East or west, Baba Sehgal is the best! Sorry, not sorry! And lastly, the song we have literally not stopped singing since we first heard it! Like, just cannot get over Aloo ka paratha! You’d be lying if you said you aren’t humming ‘aloo ka paratha khalo, usme thodi malai dalo, phir kis baat ka jhagda baby, milkar sab khalo khalo’! Love celebs on Twitter? Check out the most epic KRK tweets of all time!